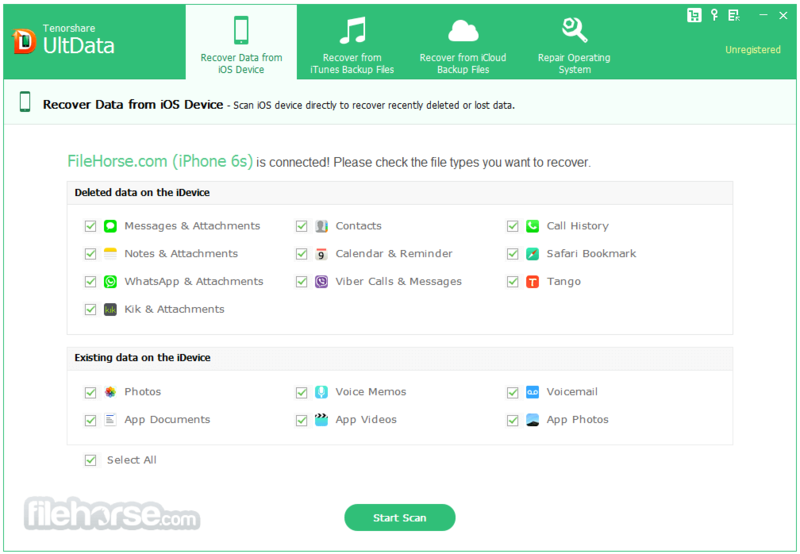 Tenorshare UltData (formerly known as Tenorshare iPhone Data Recovery) can recover all your lost iPhone contents including call history, contacts, messages, camera roll, photos, bookmarks, videos, Whatsapp messages, Tango from iPhone SE, iPhone 6s/6 Plus/6/5s/5c/5/4s/4/3GS, iPad/iPod. Feel frustrated about taking too much time scanning and finding your lost files? UltData (iPhone Data Recovery) makes data recovery much easier and more efficiently. Just specify the program to scan file types that you really need, and then you’ll locate your lost files in scan results for quick recovery. More conveniently, when your iPhone gets stuck at recovery mode, this program allows you exiting recovery mode firstly in just one click. 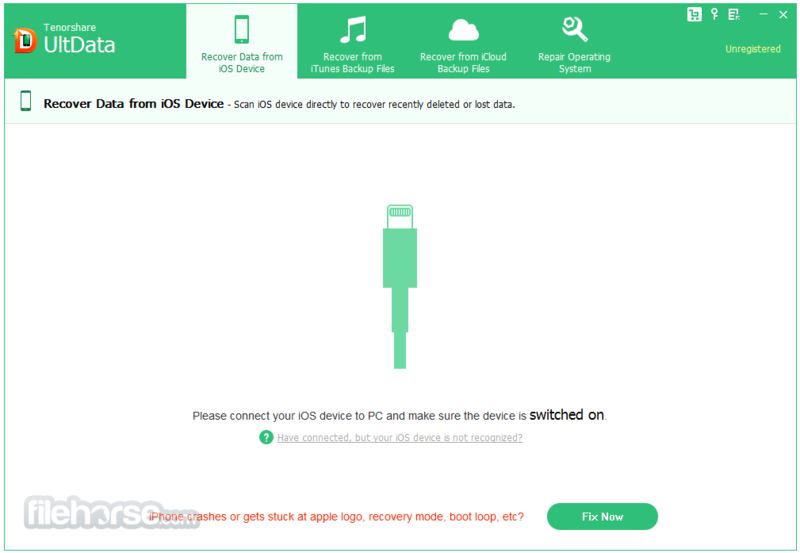 Not only recovering lost files on iPhone, but UltData (iPhone Data Recovery) can repair iOS system to normal when it performs abnormally such as stuck at recovery mode, DFU mode, apple logo, connect to iTunes, boot loop, blue screen of death, and so forth. Fix totally 50+ issues related to upgrade error, recovery failure or jailbreak collapse without losing files. 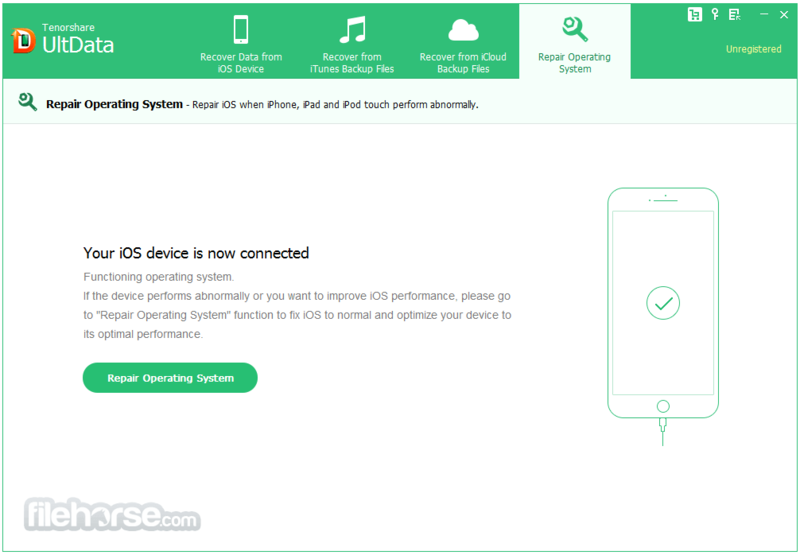 Now you can easily revive your broken iPhone at home like a pro in simple clicks. 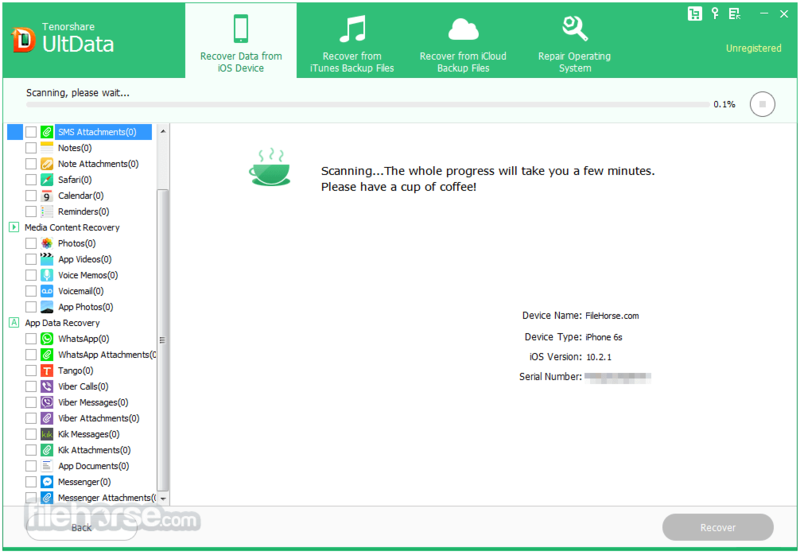 All data found on iPhone Recovery Software are well-organized and you can review contents, time, date, number, etc. of your SMS, call history, etc. before recovery, which allows you recovering data quickly and accurately. Conveniently, you are now free to sync recovered messages, contacts and notes directly back to your iPhone. UltData (iPhone Data Recovery) Software can recover and save your lost/deleted files to computer in multiple formats. Text contents (Messages, Call History, Notes, etc.) can be saved as .txt, .xls, .xml file; Media contents (Videos, Photos, Memos) will be recovered as original formats like .jpg, .png, .mp4, etc; iPhone Contacts can be exported as .vcf file. 3 Options to Get All Lost iPhone Data Back, Super Easy! 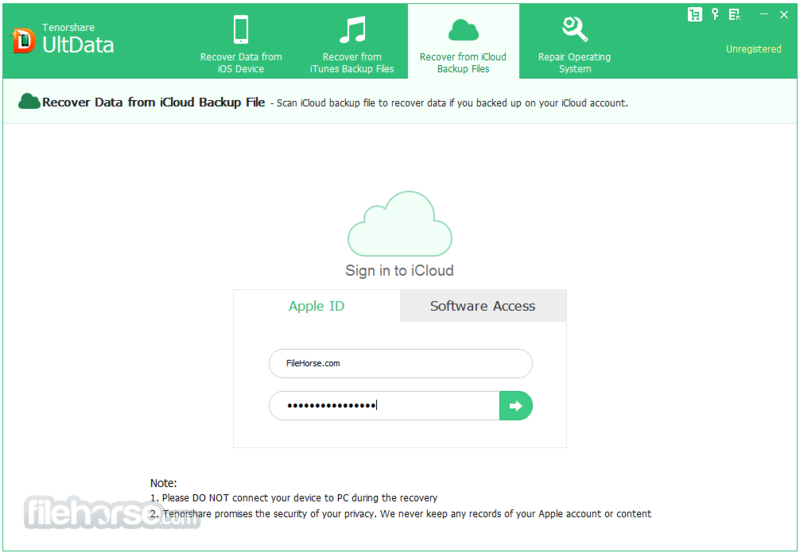 No matter how you lost iPhone files and what you’ve lost, with Tenorshare UltData (iPhone Data Recovery), you can get them back by those 3 iPhone Recovery modes.